The congresswoman and several thousand veterans are expected to travel to North Dakota in solidarity with the Standing Rock Sioux Tribe. 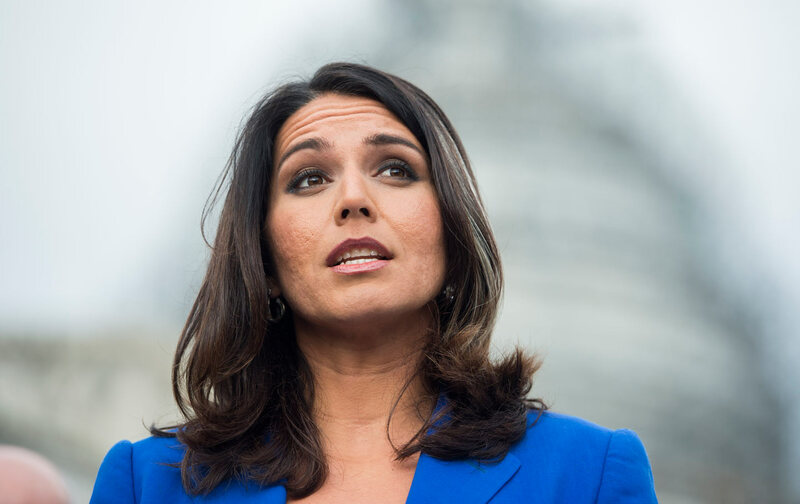 Congresswoman Tulsi Gabbard, the Hawaii Democrat who served two tours of duty in the Middle East, and who continues to serve as a major in the Army National Guard, will join thousands of veterans next week as they arrive to support Native Americans who are seeking to block construction of an oil pipeline near North Dakota’s Standing Rock Sioux Reservation. “If my participation in this protest helps send one message, it is this: We must protect our fragile water resources for current and future generations,” says Gabbard, who since her youth has been an environmental activist. The congresswoman will be part of a December 4-7 “Veterans Stand With Standing Rock” mobilization that proposes to bring military veterans from across the country to North Dakota at the same time that state officials are stepping up efforts to remove pipeline foes from the camp they have organized as part of their Water Protectors movement. More than 2,000 veterans have indicated that they will join a nonviolent intervention to protect and support the foes of the pipeline from what organizers of the mobilization describe as “assault and intimidation at the hands of the militarized police force.” Authorities have used mass arrests, rubber bullets, pepper spray, and water cannons to deter protests. They have also arrested journalists and documentary filmmakers seeking to report from the scene. Gabbard’s office says she accepted an invitation from organizers to join the veterans who are standing at Standing Rock. In particular, she says, she wants to draw attention to threats to the Standing Rock Sioux tribe’s water supply, as well as the water supply of people living in communities downstream from where the pipeline would cross underneath the Missouri River.